Jahnavi Kapoor shares a screenshot of WhatsApp chatting with Papa. 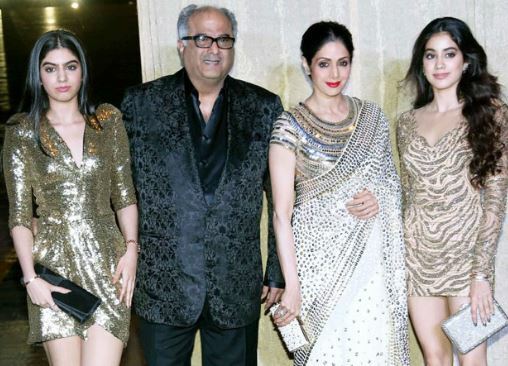 This screenshot shows that Boney Kapoor is worried about the daughter’s addiction. Any addiction is not right Bollywood actress Jahnavi Kapoor is also involved in addiction. Papa Bonni Kapoor is very upset with daughter’s addiction. On the day of getting rid of this addiction, separate advice and newspaper cutting to Jahnavi. This is not disclosed by anyone but Jahnavi Kapoor himself. Jahnavi Kapoor shared a screenshot of his chatting with Papa on Instagram. This screenshot shows that Boney Kapoor has sent a paper cut to Jahnavi. It is written on ‘Do you have an addiction to exercise. MoreExercising can be harmful to your health. ‘ Papa’s screenshot has sent ’emoji to the girl’s forehead’ in Jahnavi. It is clear from these chapters of the father-daughter that both of them would often talk on this issue. Anyway, say Jannavi’s Jim Look is quite popular on social media. she seems to work out too many times with Malaika Arora. At the moment, she is celebrating holidays in the UK with her sister happily. Talking about film projects, the film is ‘Takhat’ in Jahnavi’s lap. Its shooting will start in March.